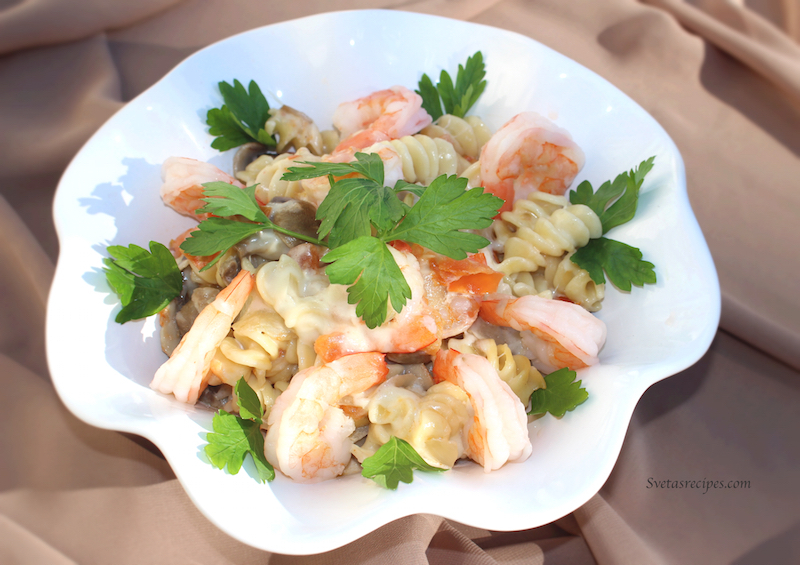 This baked shrimp pasta is one of my favorites! It comes out very juicy and delicious and takes very little of time to make . My kids love the cheesy topping. Wash and dry mushrooms, onion, tomatoes, and shrimps. 2. Slice all of the mushrooms into thick slices and dice all the onion into little cubes. 3. Place mushrooms in the skillet into the hot oil and let it fry for 4 minutes on medium heat and then add the onion in there. 5. In a 5 quart saucepan add water and let it heat until it boils, then add the pasta and salt . Cook until the pasta is tender but firm and then drain it. 6. Dice tomatoes into little cubes and add into the skillet with mushrooms. 7. After you washed the shrimp make sure to rip off all of the tails. 8. Crease baking dish and put the cooked pasta in . Add the mushroom mixture into the pasta. 10. 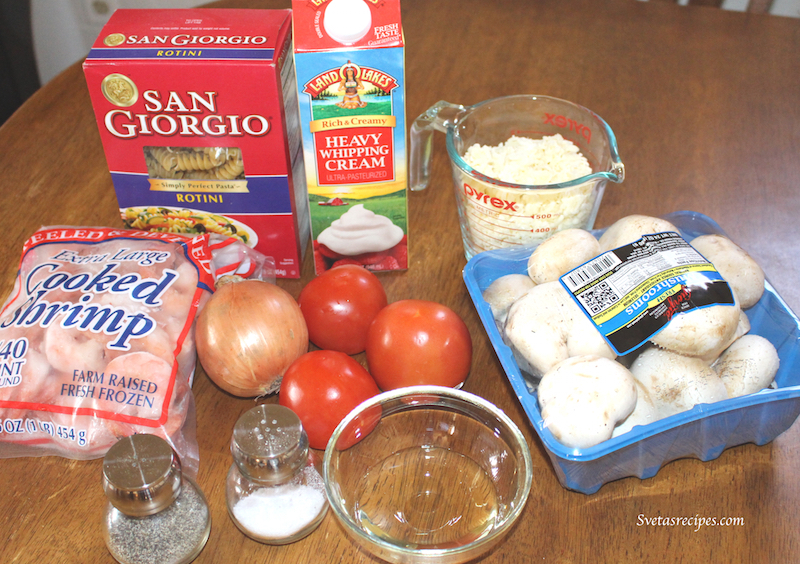 In a measuring cup mix a cup of heavy cream with a cup of water and pour on top of the pasta. 11. Cover with foil paper and put to bake in the oven at 350 F for 25 minutes. 13. Cover it with the foil paper again and place in the oven to bake for 7 more minutes. 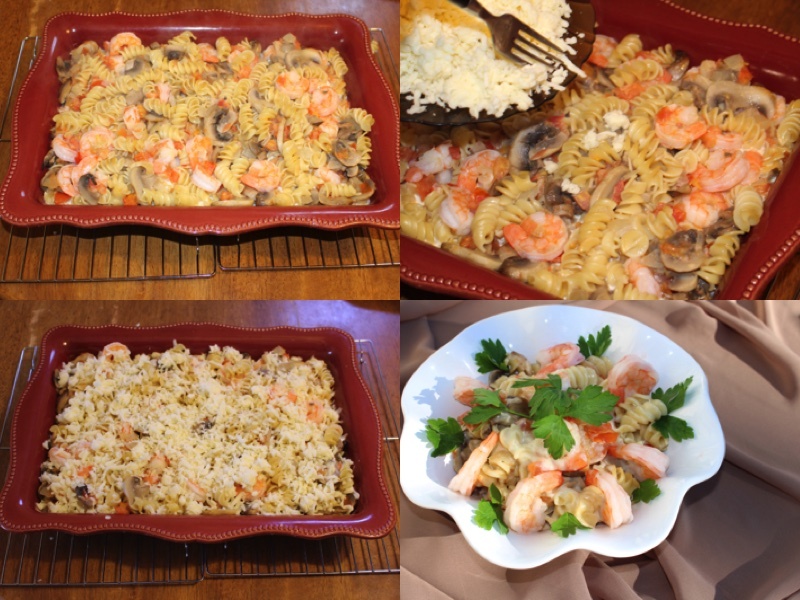 This baked shrimp pasta is one of my favorites! It comes out very juicy and delicious and take very little of time to make . My kids love the cheesy topping. Slice all of the mushrooms into thick slices and dice all the onion into little cubes. 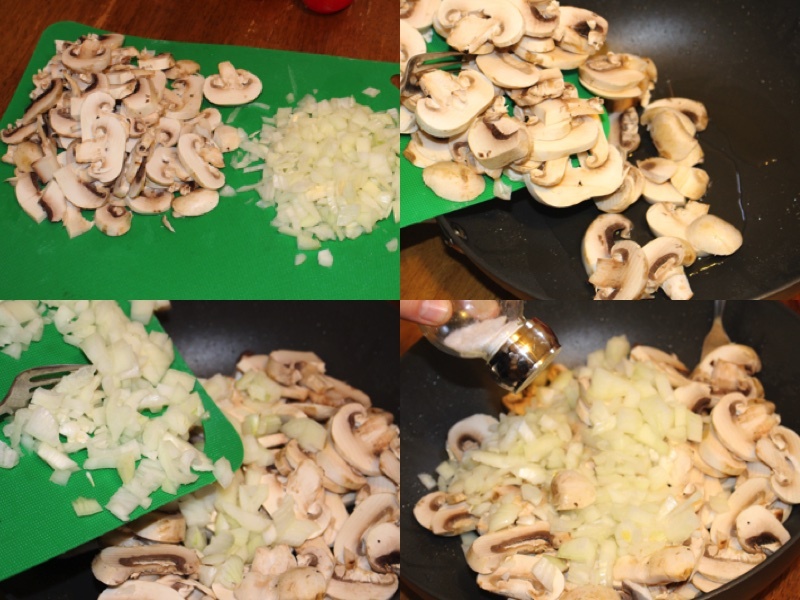 Place mushrooms in the skillet into the hot oil and let it fry for 4 minutes on medium heat and then add the onion in there. 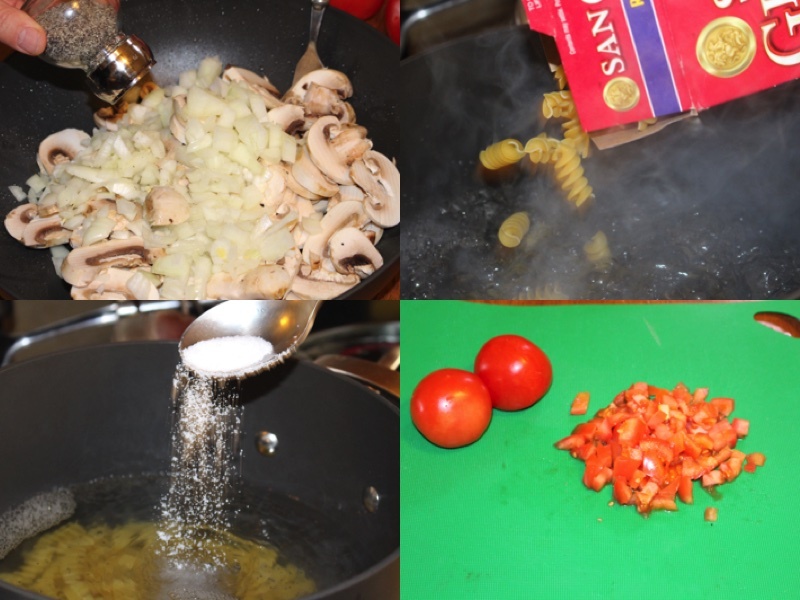 In a 5 quart saucepan add water and let it heat until it boils, then add the pasta and salt . Cook until the pasta is tender but firm and then drain it. Dice tomatoes into little cubes and add into the skillet with mushrooms. 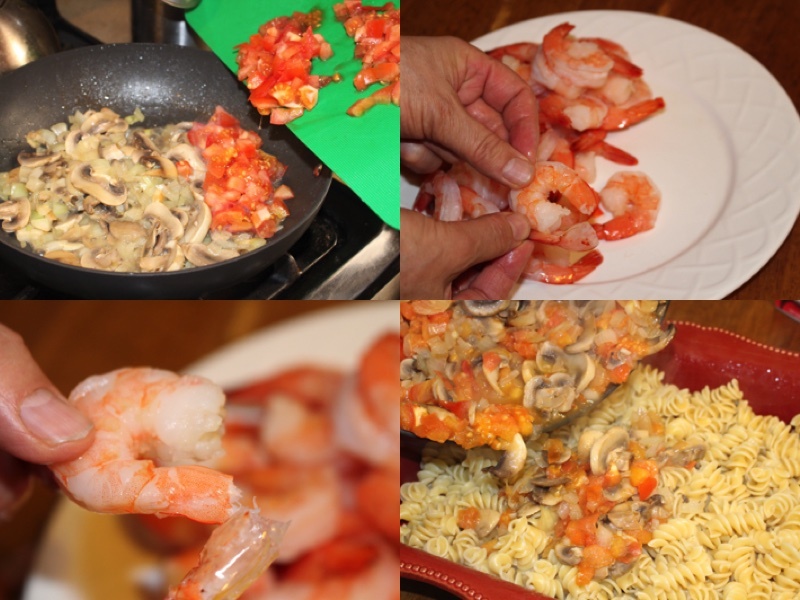 After you washed the shrimp make sure to rip off all of the tails. Crease baking dish and put the cooked pasta in . Add the mushroom mixture into the pasta. In a measuring cup mix a cup of heavy cream with a cup of water and pour on top of the pasta. 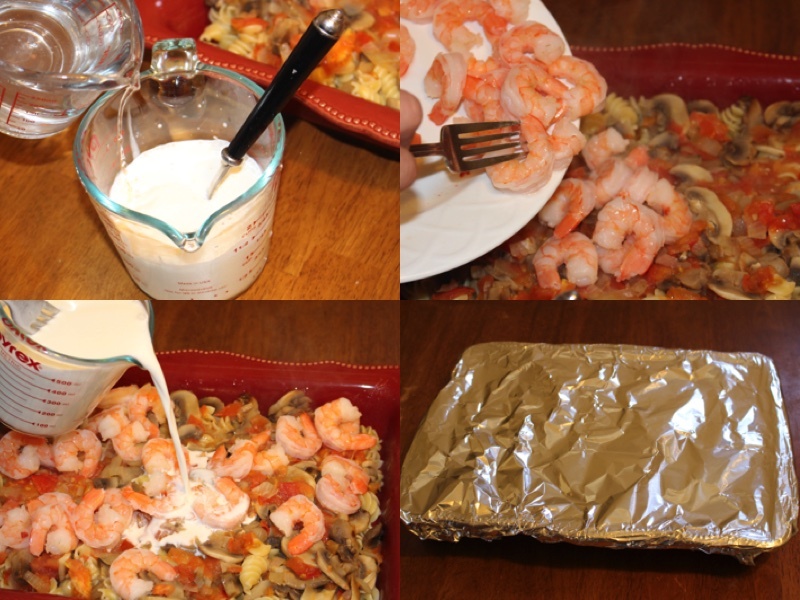 Cover with foil paper and put to bake in the oven at 350 F for 25 minutes. After it bakes take the foil paper of and cover the pasta with a thin coat of shredded cheese . Looks very delicious and easy to make! This one is a winner! Thank you Svetlana! Truly a delicious pasta dish! Enjoyed this one. It’s very versatile as you can change up the ingredients. Also love that you don’t have to make a roux as the cream works great for creaminess. Thank you!